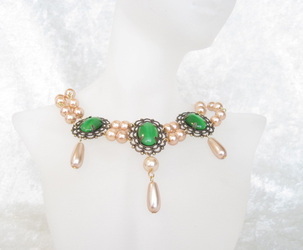 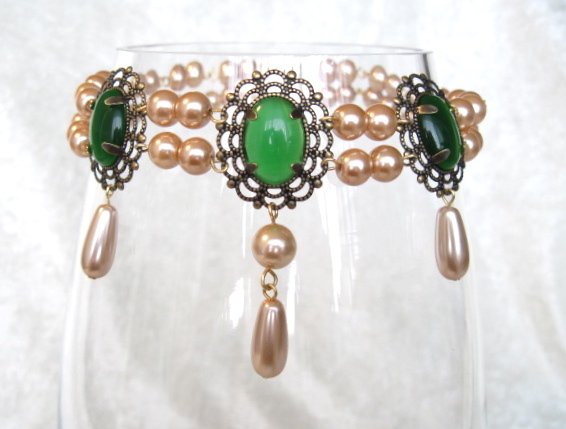 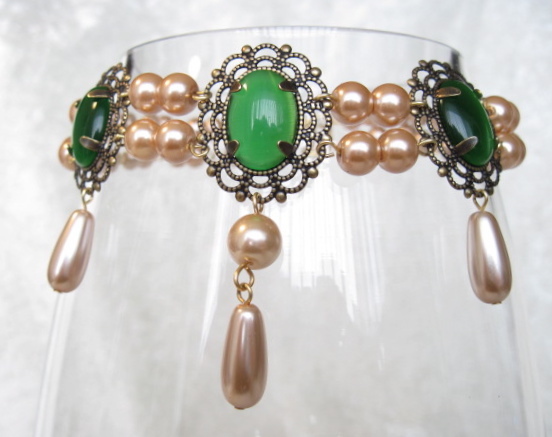 A subtle combination of bronze glass pearls and glowing green glass cabochons set in antiqued filigrees helps to make Lady Elissa truly special. This choker will set you apart from the crowd! 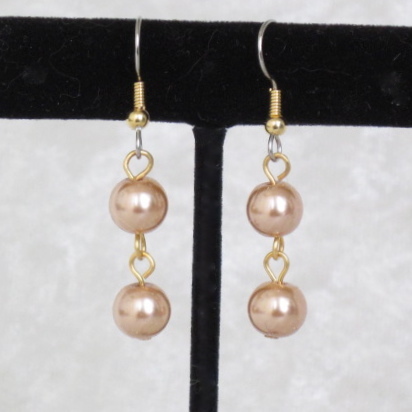 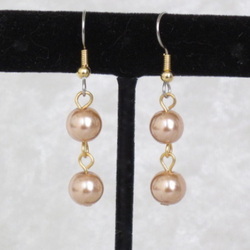 Each pearl is hand set for maximum efffect; the graceful elongated teardrop pearls add elegance. 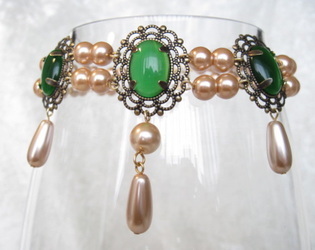 The choker measures 13"; the matching earrings dangle 1" below surgical steel ear wires. 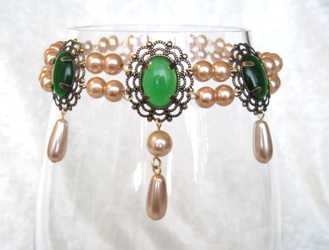 This set will be the finishing touch to any RenFaire outfit.